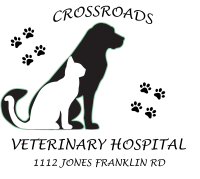 Our friendly reception staff will help you with scheduling, checking out from your appointment, filling your pets medications, finding the right diet, and getting the nutraceutical products you your fur kid may need. 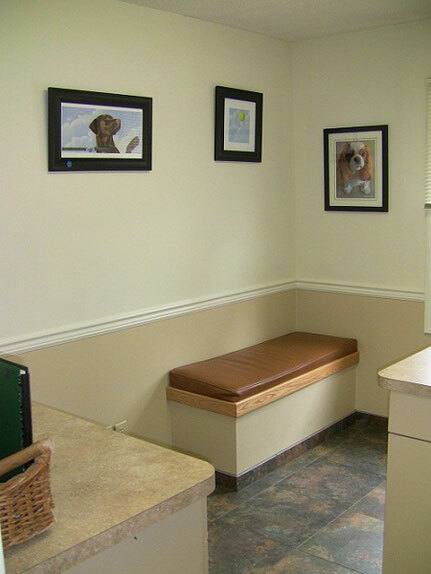 Our cozy, well appointed exam room offer a private area for owners and their pets to decompress a little before the doctors come in and examine them. Lots of treats for the furkids and information for the humans. 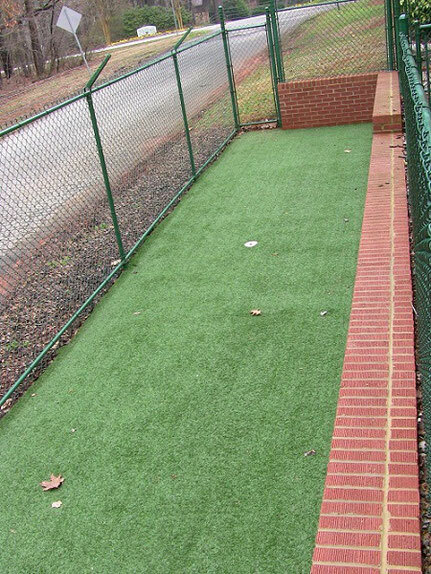 We have two very sturdy and reinforced outdoor runs for our boarding patients. Boarders are all taken out a minimum of four times per day, so they get plenty of fresh air and exercise. 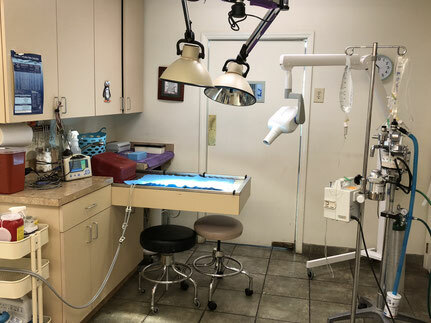 Our treatment room is the busiest room in the hospital, it is the heart of this practice. 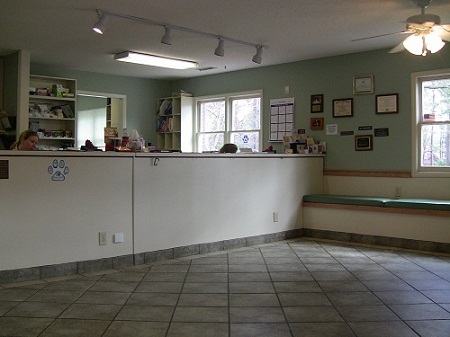 It is well equipped to handle everyday vaccinations and blood draws to complicated emergency cases. 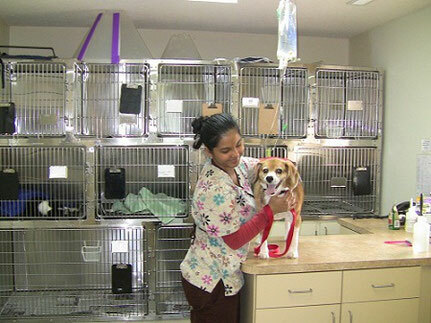 We have cages there for our critical patients to be monitored and loved on by the entire staff. 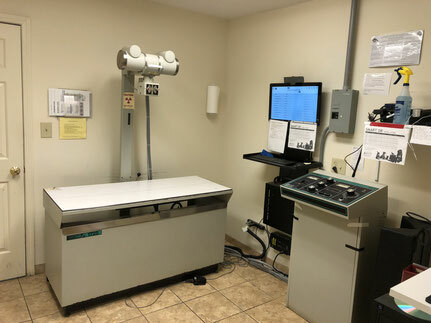 Our radiology area has the latest technology to assist our doctors in diagnosing and treating our patients. We have digital radiography and ultrasound. to everyone on the anesthetic team. 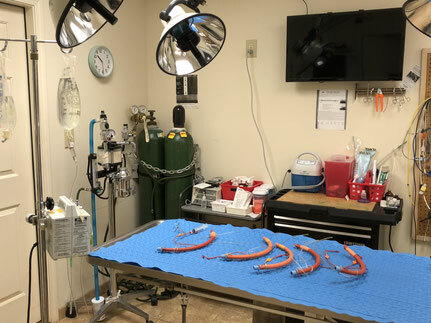 Along with conventional surgery we have endoscopy for less invasive procedures as warranted.